The future of Disney animated movies has been put in new hands. Jennifer Lee and Pete Docter will now head up Walt Disney Animation Studios and Pixar, respectively. This move from the Mouse House comes as John Lasseter, who helped make Pixar what it is today and has a tremendous track record as a visionary in the field of animation, will be making his exit from Disney at the end of the year. His pending departure follows an extended leave of absence as a result of multiple inappropriate behavior claims. Jennifer Lee has been named Chief Creative Officer of Walt Disney Animation Studios. 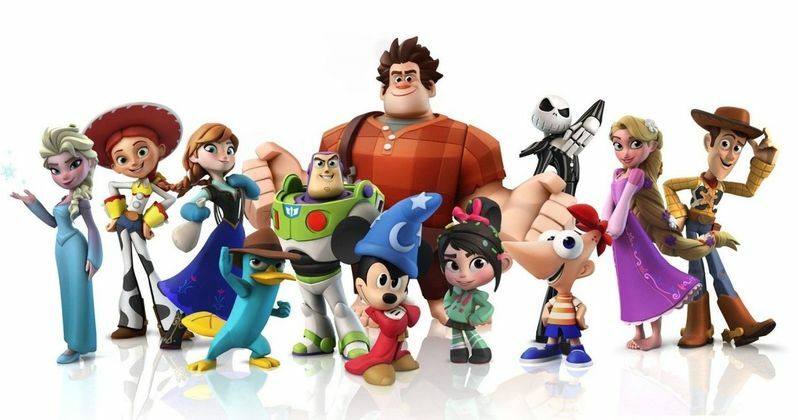 Lee got her start with the company as a co-writer of Wreck-It Ralph in 2011, but it was her work as director of Frozen, which went on to become one of the highest-grossing movies of all time and, beyond that, a true pop culture phenomenon, that helped cement her status as a major asset to the studio and as a creative force. Frozen went on to earn the Academy Award for Best Animated Feature. Lee had this to say about her new position in a statement. As for Pete Docter, he's been with Disney as a major figure within the Pixar ranks for some time and is now taking over as Chief Creative Officer. He was one of Pixar's first employees and has worked on major hits for the studio such as Monster's Inc., Inside Out and Up. If there is one man that seemed a likely suitor to take over for John Lasseter, it's easily Docter. He helped build Pixar from the ground up, dating all the way back to Toy Story, for which he has a story credit and worked on as an animator. Here's what Docter had to say about his new role. "I started here 28 years ago. I am fortunate to work alongside some of the most talented people on the planet, and together we will keep pushing animation in new directions, using the latest technology to tell stories we hope will surprise and delight audiences around the world." Disney has been shy about acknowledging the misconduct allegations made against John Lasseter, who was accused of acting inappropriately toward many women over the years, with acts ranging from unwanted touching, comments and even kissing. Upon announcing Lasseter's departure, Disney noted his "remarkable tenure." Remarkable as it may be, Lasseter is leaving under a cloud of grey. Lasseter is only serving as a consultant till the end of the year and doesn't even have an office at the studio. Onward and upward though, as they say, and both Pete Docter and Jennifer Lee seem more than qualified to steer the ship in the right direction. This news comes to us courtesy of Variety.